Driving prestige cars is something I love doing. I’ve caught myself seeking out opportunities that give me a somewhat productive excuse to try a new car, any excuse will do. So which car should I review? They were coming in at 7:40am on an overnight flight from Singapore. With a three-hour time difference in not-so-comfortable economy seats, I was on a mission to give them a comfortable ride through peak hour Sydney traffic; a Yaris just wasn’t going to make the cut. You can read about my Hertz Audi Q7 experience for when I did catch a train to the airport just for the rental. I re-hired this Hertz 24/7 Audi Q5 at the end of January 2016. It was a different pod but I had the same issue with dirtiness. I know it had never been washed since new. Much to my wife’s dismay, I washed it. Compared to the Audi Q7, the Q5 defintely feels technoligically ancient. Whilst it’s not that far behind, and probably more modern that any car most people have driven, the Q7 is just so much better. I also beat up the sound system in this first review but compared to the Q7 it was absolute bliss. That’s only because the Q7 sound system is pathetic. 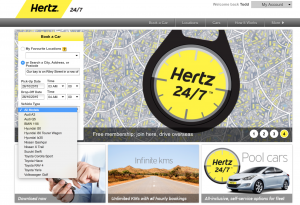 For the most part, Hertz 24/7 has a pretty smooth booking process on both web and mobile. The overall mobile experience is better but there isn’t a way to filter only their luxury rentals (Audi A3 and Q5), therefore unless you know exactly where they are located you will want to check out the web experience first. 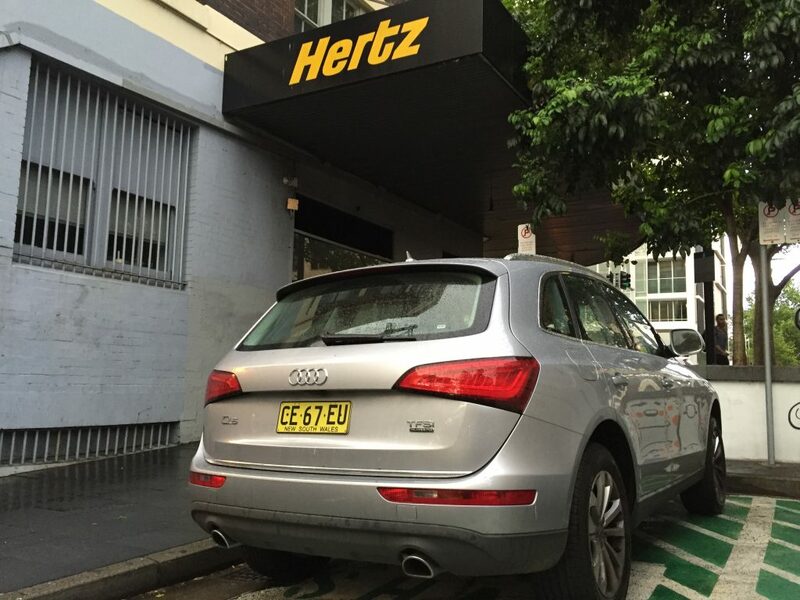 There is only one Hertz 24/7 Audi Q5 in their on-demand fleet. 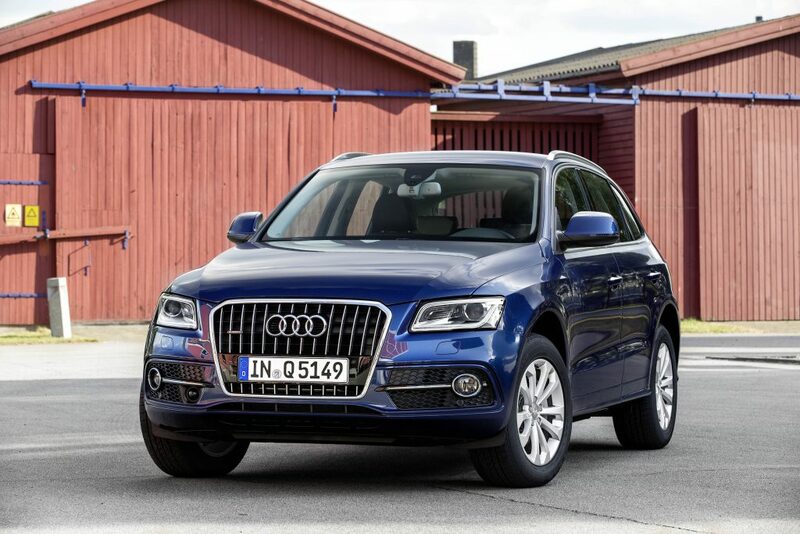 Update: there are now three Audi Q5’s in the on-demand fleet. For this first review I had the car located outside of the Hertz offices on Riley Street. The main benefit for me as I mentioned in my review of the Hertz Audi A3 is that they have a dedicated motorcycle parking area nearby. It’s about a 10-15 minute walk from Town Hall or an Uber will probably cost $5-8. I’m sure there are busses nearby too. I received an SMS with a PIN code about 30 minutes before the booking started. There are two ways of opening the car — with either a PIN or with an RFID keyfob. The PIN method works well when you haven’t yet received your keyfob, or you simply don’t like carrying around a yellow dangly thing everywhere you go. When you get in the car there is a small electronic device that looks like a modified handsfree unit from the 2000’s. 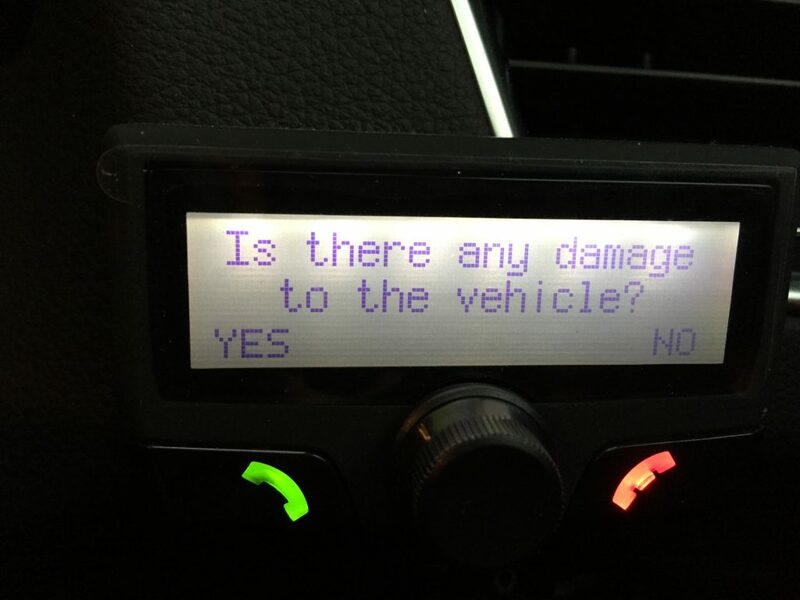 It will ask you: ‘Is there any damage to the vehicle?’ with green for Yes and red for No. As I usually warm up any car before I drive it, I was ready to turn it on but I hadn’t completed the inspection. Without giving an answer to my little electronic friend, I quickly walked around the car looking for damage. It turns out there was none, so I pressed the green button. So you’re getting a $63k car for $100 per day — seems like a good deal. This model is the entry-level petrol Q5 with no extras added (as far as I could tell). Despite being the base model it’s definitely a step up from the GoGet RAV4 which would have cost me $89 per day. The first thing I noticed was that the car was dirty. Not just a little dirty from the rain that had been lingering, but really dirty around the wheels and the lower part of the car. Considering the low Km on the car, there is a possibility it’s never been washed. Aside from the aesthetic downgrade, there is a problem when a rental car is dirty: you need to wipe your (presumably) clean hand on the dirty panels to check for damage. Luckily there was no damage on this vehicle despite taking twice as long to check. One of the biggest causes of rental damage claims is on wheels. Scraping those darn 18” alloy wheels is easy to do when parking a new car and can cost you over $1000 really quickly. Always inspect the wheels and notify the rental company immediately if you find scrapes, cracks or other damage. The inside of the car was also a little dirty, it wasn’t too bad and definitely acceptable for a shared car but considering the Hertz wash/vacuum bay was within 50m, they probably should keep their prestige cars cleaner. I expressed these concerns in the customer feedback form emailed to me at the end of the booking. With only 24 hours booked, I wanted to make use of the car outside of its main purpose of picking up my client from the airport. 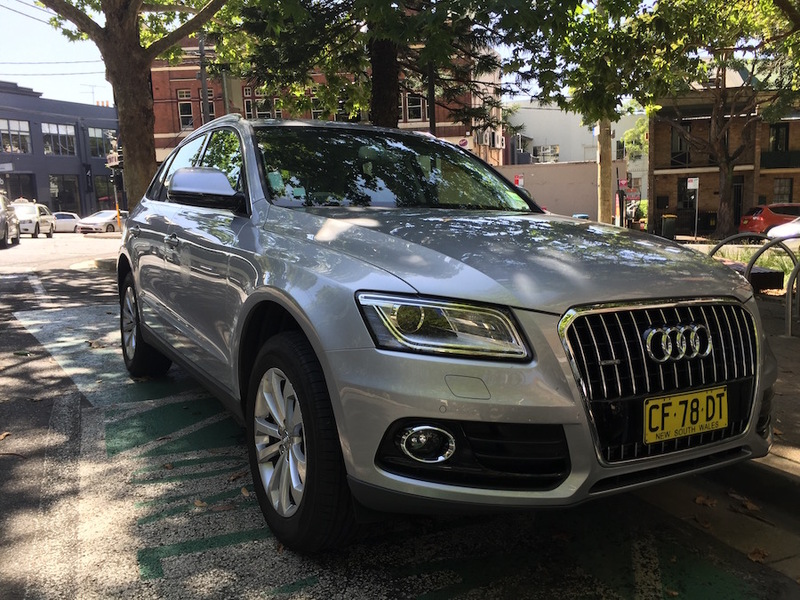 It was 5:00pm and I needed to head to the University of New South Wales to meet some young entrepreneurs, time to try the Audi Q5 in Sydney’s peak-hour traffic. The first thing I noticed was the automatic start/stop feature, which seems to be standard in every European car. To put it simply, this one was annoying. Maybe it was shutting off the engine too quick, or perhaps starting up too slowly. Regardless, it just didn’t feel intuitive to how I was driving. Like the Hertz Audi A3 I previously reviewed, the Q5 has the Audi sound system with a few extra speakers and a subwoofer installed. The sound was decent, but I can’t say it was great. It’s essentially everything you need to take a few adults away for the weekend. Don’t expect anything more fancy than that. First thing’s first, the Q5 wasn’t built as a performance car. Rather, it’s for someone who wants to drive a mid-sized SUV around the city with an Audi badge nosing their way through traffic past taxis and tradesmen. Maybe they’ll want to get away for a weekend where a few dirt roads appear, however I doubt anyone will be testing the four-wheel-drive capabilities or hill decent control. The Q5 was designed as a pretty car, not a luxury SUV with serious 4×4 capabilities like the Range Rover or gnarly performance like the Porsche Cayenne. Both of which can be found at DriveMyCar. However compared to the Audi A3 in my previous reviews, we lose the paddle shifters behind the steering wheel, but pick up ‘Drive Select’ modes giving us the option to set it into Dynamic, making a huge difference in terms of throttle response. The somewhat sublime engine comes alive in Dynamic mode, pushing out 165kW of power and 350Nm of supercharged torque hurling you from 0 to 100km/h in 7.1 seconds (allegedly). So yes, you’re sitting high and can accelerate fast from one traffic light to the next. There is definitely a sense that this car can plant the power into the ground when you need it to. Alas, perhaps it’s the 2.3 tonnes of weight, or maybe the higher-profile tyres and softer suspension that prevent zipping around like Dominic Toretto, it just doesn’t feel fast. Oh but I did say this wasn’t a performance car. But maybe, just maybe, I didn’t do it right. Perhaps the beast that restrains itself for city driving has an animal for the open roads. I’ll leave this test for another day. Honestly, I believe I drove like most people would drive their Q5 — around the city, dropping people off and parking in tight spaces. And I also used the car how most Hertz 24/7 drivers would – to get a task done. Putting this aside, I am really excited about giving this car another whirl out of Sydney, in the mountains, somewhere that will let me understand the engine and unleash the Audi spirit inside. Perhaps. Admittedly, the Audi Q5 isn’t the sexiest SUV on the market. In this category I’d prefer a Range Rover Evoque or Porsche Macan if there was a choice, yet neither of these cars can be found for $100 per day. So right now, the Audi Q5 it is. One of the differentiators between the Hertz Audi Q5 and the Hertz 24/7 Audi Q5 (at least the one I had anyway) is that the former has no visible branding yelling to the world that it’s a rental car. Putting the dirtiness aside, you couldn’t drive the Hertz 24/7 car up to your golf course, lunch meeting or hot date if you’re trying to be inconspicuous about hiring a prestige SUV for the occasion. If you’re looking for a prestige SUV, you really can’t beat the Hertz 24/7 Audi Q5 on value for money. Before their announcement to include the A3 and Q5 in their on-demand range, I honestly never considered using Hertz 24/7. I’m a frequent GoGet user and I don’t have any Hertz 24/7 pods near me, why bother? However the Q5 changes everything. If you want to include a third, by comparison to the Hertz Compact Prestige SUV – it’s cheaper and fuel is included! Therefore if I needed to travel from Sydney to Kiama (250Km round trip) to visit my parents and return within a day, Hertz 24/7 is my most convenient option at the lowest price. Or, if I had a meeting for a few hours in the Hunter region, it makes more sense to utilise the unlimited Km and book the Hertz 24/7 for 6 hours. I recall being slightly disappointed with the Hertz BMW X3 I rented about 18 months ago. Although it’s a direct comparison in terms of class, it would have cost me $178 with my 10% Etihad Gold discount for a day of driving. You simply can’t beat this car for value for money. 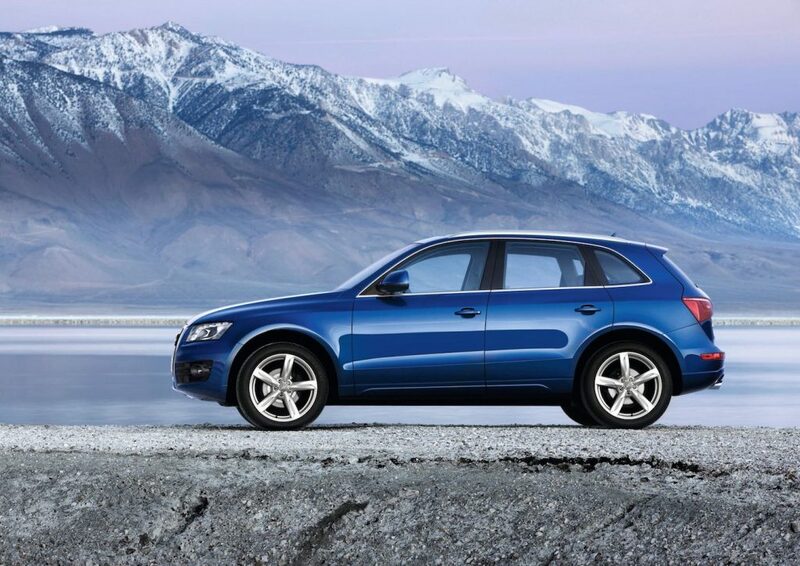 The Hertz 24/7 Audi Q5 fulfilled its mission. I transported my client and her partner from the airport to their meeting, with a touch of class and comfort. However I feel unsatisfied. Not because the Q5 disappointed me, but rather because I disappointed myself. I didn’t give the car a chance to express herself in anything other than peak-hour traffic. With such a low rental price tag, I know that I’ll be soaking up three days of availability on a weekend between now and the end of the year. Where is a 1000Km round trip from Sydney? Fancy driving the Audi Q5?